Home / Uncategorized / New India redefines its Angel Tax Theory on Start-ups! It all started with PM Modi announcing the Start-Up India initiative in his 2015 Independence Day Speech. Self-employment has been one of the driving factors of the current government’s job creation agenda. 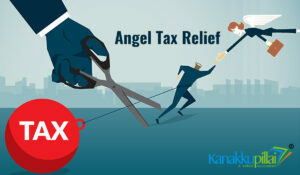 However, it has not been a smooth sail for start-ups, with tax disputes around the valuation of investments, popularly known as angel tax, being one of the key concerns. As per a recent Indian Venture Capital Association (IVCA) survey, the income-tax department has sent notices to almost 2,000 start-ups, seeking information/demanding tax on investments received by them on grounds of excessive valuation of shares. The government has taken due cognizance of the hurting issues faced by start-ups and has subsequently issued frequent notifications over the last 4 years to adapt and amend the various factors associated with start-up businesses like definition of start-ups, capital threshold limit for start-ups, and net-worth/income threshold limits for investors to avail the exemptions. employment generation or wealth creation. 25 crore, compared to Rs 10 crore earlier. crore in an eligible start-up will be exempt from Section 56 (2), beyond the Rs 25 crore limit. The Tax exemption announcement has already taken effect under the Income Tax Law. start-ups need to do is submit the latest notification to the tax authorities, as a response. resolved in line with the new policy. notified by the government, they will not need to pay up the already levied taxes. paintings, sculptures, any work of art or bullion, etc. To sum up, it is definitely a welcome move which will go a long way in shaping the New India Start-up dream by easing out the way they do their business.